Eclipses, solar and lunar, have fascinated scientists and lay people for centuries. 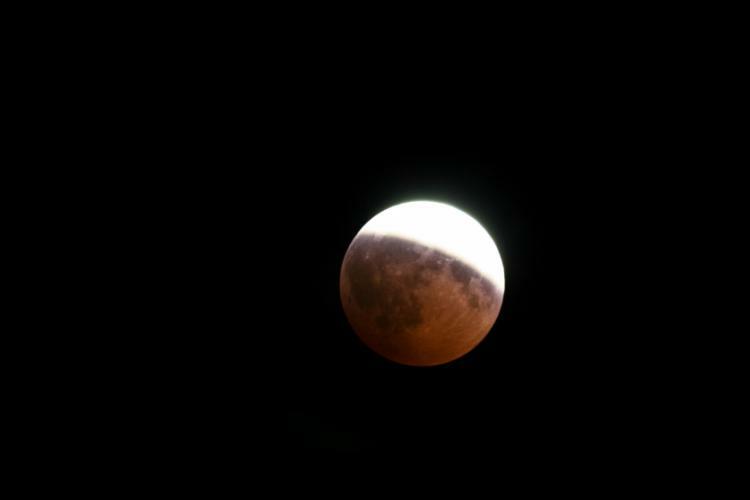 In ancient times, eclipses were seen as phenomena to be feared – many cultures came up with stories and myths to explain the temporary darkening of the Sun or the Moon. In recent centuries, eclipses have been sought after by scientists and astronomers who use the events to study and examine our natural world. Solar eclipses can only occur during a New Moon when the Moon moves between Earth and the Sun and the 3 celestial bodies form a straight line: Earth–Moon–Sun. 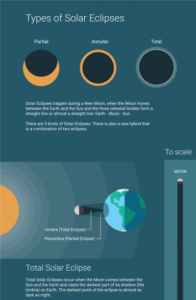 There are between 2 and 5 solar eclipses every year. There are 3 kinds of solar eclipses: total, partial, and annular. There is also a rare hybrid that is a combination of an annular and a total eclipse.